Google Shopping is a service that allows consumers to search for products and compare prices through Google Search. The search results are all focused around keywords that are relevant to said products. 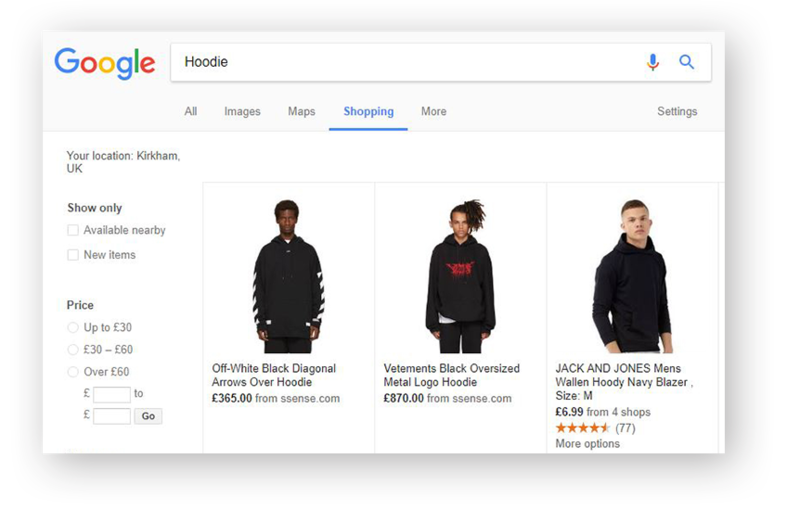 Why not use Google Shopping to help your business? Using Google Shopping can sufficiently increase the amount of traffic to your website and increase your sites click through rates especially if you have an eCommerce website. Your website products will appear as a picture, description and price on any searches undertaken for a particular keyword. You may have seen these already in Google. This is a great way to get new or customers to purchase your products online. Get in touch with us to find out more on how this can benefit your website, or for more information on eCommerce websites please follow the link bellow to our eCommerce page for more information.